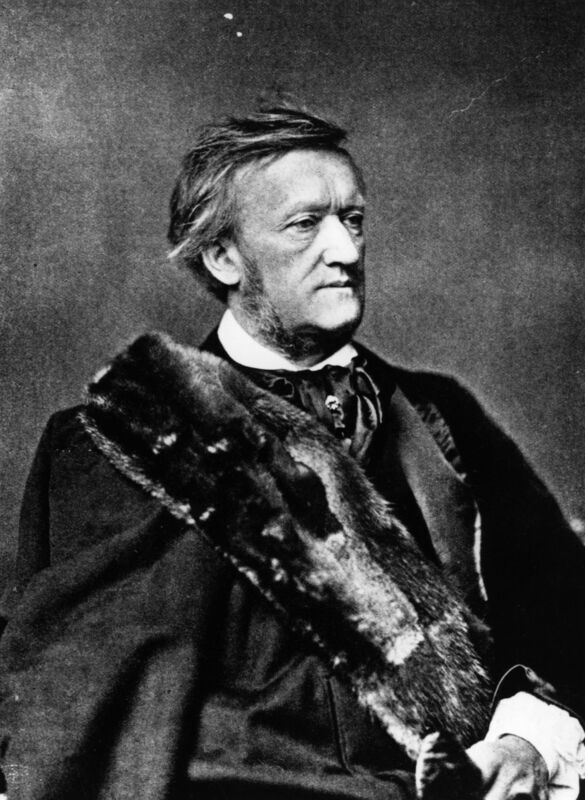 This is not a new recruit for the "Night's Watch" on Game of Thrones, but Richard Wagner, who, popularized the term "Gesamtkunstwerk." Gesamtkunstwerk means "total artwork". It refers to the combination of various art forms on stage, into a "super" art form. It's what Richard Wagner was talking about in his essay "The Artwork of the Future" in 1849. I hope he didn't wager too much on this prediction in the office pool, however, because opera, (including any other über-opera variation) got somewhat supplanted by another theatre based invention later that century. But now, live documentary seems to me to be a callback to this very grand concept. After spending a few years thinking about my idea to merge audiovisual performance with documentary, I stumbled upon someone doing just that, in his own brilliant way. In 2014, at the Hot Docs film festival, in Toronto, I saw a “live documentary” called The Measure of All Things by Sam Green. What other films I saw there that year I couldn’t say for sure but Green’s film/performance was so compelling and memorable. Green is an accomplished filmmaker in every sense. He studied documentary at Berkley under legend Marlon Riggs and was nominated for an Oscar in 2004 for his documentary The Weather Underground. That film was also a part of the Whitney Biennial of that year. The Measure of All Things premiered at Sundance in 2014, and was his third foray into what he aptly dubbed live documentary. A term like “live cinema” might describe something that encompasses fiction film, but the experience of watching documentary mixed with live narration and musical performance creates a unique atmosphere that suggests the distinctions between experimental, documentary and fiction are amplified in the live context. Green’s first live documentary was Utopia in Four Movements. Utopia was intended to be a “regular” documentary, not live, but he wanted to do something conceptual and was struggling with ways that he could express his ideas cinematically, in other words, in a visual language. A friend suggested to Green that he present what he had done so far, as a work-in-progress to get through the impasse. He presented the clips alongside his own live narration and the response was so positive that it became the basis for the film’s form. After the success of the first, his second live documentary was The Love Song of R. Buckminster Fuller. With this live documentary, Green continued his exploration of utopian ideals and theoretical concepts, this time with musical accompaniment by the rock group Yo La Tengo. Green describes this form as a hybrid of lecture performance and documentary. His recipe is to mix film clips featuring fascinating characters, with live music, all channelled through charismatic and arresting narration presented on stage by the filmmaker himself. Sam Green’s command of all of these elements is incredible, skilfully orchestrating a sublime deconstructed film spectacle.